There is something calming, pleasing and reassuring about the sight and feel of any crystal. Browse your local new age shop and you will be enchanted by the glistening, the shapes and the colours. What you may not understand is the energetic qualities they will be flooding you with at the same time. Empaths can either feel enlivened or overwhelmed in such a shop, such are the energies moving freely around. On a recent visit to the geology department of a museum, I had to stabilise myself several times because of the strong pull on my energetic field by the rocks and crystals on display. This has been known for millenia with crystals being used for healing in ancient times right up to the present. They were used not just for their energetic properties but for physical healing too. Combine with oils and other natural ingredients and you have a powerful cocktail of healing at your fingertips. The problem we may find is that some of the crystals required for very specific healings are hard to find or cannot be ethically sourced. This is precisely where the Crystal Wisdom Healing Oracle comes into its own. Created by the very knowledgeable Judy Hall (the Crystal Bible, Crystal Prescriptions, Earth Blessings plus countless others) and Slovakian photographer Michael Illas, this kit is a gem – pun intended. The box contains 50 cards of high definition photography of the most potent healing crystals and a book to help you gain an understanding of their use and application. This seems on first inspection, to be an introductory kit, but after working through the book it becomes apparent that this is a comprehensive yet concise work. Do not be deceived by the small size of the book – it is not in anyway a watered down treatise, this is powerful stuff. Judy Hall has decades of experience using crystals and teaching others of their uses. She has skillfully combined what she considers the most beneficial and effective crystals into what may well be the perfect healing kit. The cards sit nice in my small hands, have plainish grey backs and silver gilt edges. Their finish is glossy and works brilliantly with the outstanding photography. These images are sharp, crisp and detailed and are a credit to Michael Illas. In this system each suite finds the crystals contained within it operating at increasingly higher vibrations, beginning with Earth and ending with Interactive. Each also a particular healing speciality. For example, the Healing Vibration crystals work with the soul and seek to bring balance back to it. This is only a short explanation and a thorough reading of Hall’s descriptions is recommended. Within each suite there are ten crystals, each with their own healing abilities, though they do pertain to the suite they’re in. This is a really smart way to help the reader learn about the crystals. Seeing them in a specific suite helps to categorize them and also play with a particular suite depending on your needs. While the card images themselves are deliberately minimalist (to help with distraction-free attuning), the information for each card and crystal contained in the book is excellent. I think this is where Hall’s years of experience shines as she knows exactly how much information is necessary. Correspondences are kept to a minimum but the real gems here (sorry) are in the descriptions and additional uses for the cards – as a spiritual and divination tool. I need to be clear here and state that in this case, divination is not prediction. The Crystal Wisdom Healing Oracle does not dip its toes in tarot waters, rather, it focuses on your spiritual life and offers advice where you need insight and awareness. 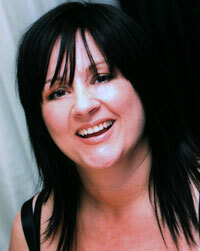 Judy Hall is a professional psychic and this side of her work combines well with her crystal healing. Check out her book, Psychic Development, to help you develop this side of your life also. Aside from descriptions of the crystals on their individual card pages, there are other lists of interest, namely their healing affinities. Hall has listed a number of ailments and conditions that she has found each crystal to be of use in helping. I’ve seen other crystal books give different correspondences and I would address that by saying crystals are an energy match and will work with you when your vibrations are aligned. I would also say that after decades of healing work with crystals, Judy Hall knows from personal experience which ones work best. The list contains crystals that work in combination with others to help healing. It’s easy to see how her series of books, Crystal Prescriptions, has developed from this. Present as you would expect, is an explanation of the chakra system, including advanced meridians I’d never heard of. While this section is only a few pages, it’s very comprehensive. It also leads to my favourite part – healing lattices. When our chakras are imbalanced, it can lead to many different types of ailments. Long term imbalances can lead to dis-ease. The Crystal Wisdom Healing Oracle helps in this regard by using the energy in and around you. for clearing and re-energizing. Hall calls these lattices and the laying on of cards. If you have religious experience, you may recognise the play on words from hands to cards. The effect is the same. There is energy and there is a conduit, in this system, the cards. Depending on your needs, Hall offers a number of lattice suggestions that you can use to place the cards on and/or around your body for healing. I did the Star of David this morning to combat EMF drain as I live in a highly energetic area and suffer fatigue and illness frequently. This simple healing helped to remove negative energy from me and I could feel the energy moving over my eyes, like someone was moving silk over them. It was astounding and I would recommend you buy this kit for this part of the work alone. You wouldn’t think a deck of cards could convey the energies and affinities that the author claims, but having tried it (multiple times), I can honestly say they do. Hall says you are tuning into the crystals vibration via the card – again, think of the card as the conduit. I believe she is right about this. As if this deck wasn’t giving you enough value for money, you can also use it as an oracle. Remember the divination we talked about earlier? The final section covers this beautifully. Again, Hall’s years of experience as a psychic and healer shine. Following a number of pages explaining how to shuffle the deck, ask an appropriate question, how to interpret the cards, we get to working with the cards in what Hall again calls lattices (just not on or around the body this time), and what other card readers would call spreads or layouts. Using the geometric names for shapes as their titles, these lattices seek to help you explore your soul’s purpose, answer what if questions and reveal your soul pathway – something that Judy believes in strongly and builds this system on, though I don’t think it necessary for the reader to follow that notion to gain value from this deck – there is so much here to do and discover, you will be kept busy for quite a long time. You can most likely tell from the length and depth of this review that I really like the Crystal Wisdom Healing Oracle. I do, very much. There are a myriad of excellent books out there on crystals and healing but what I think makes this kit stand out is its interactive nature. Getting involved with the cards, being in the middle of your own lattice, built around you – gives you the power to be in control of your own healing – and that is priceless.